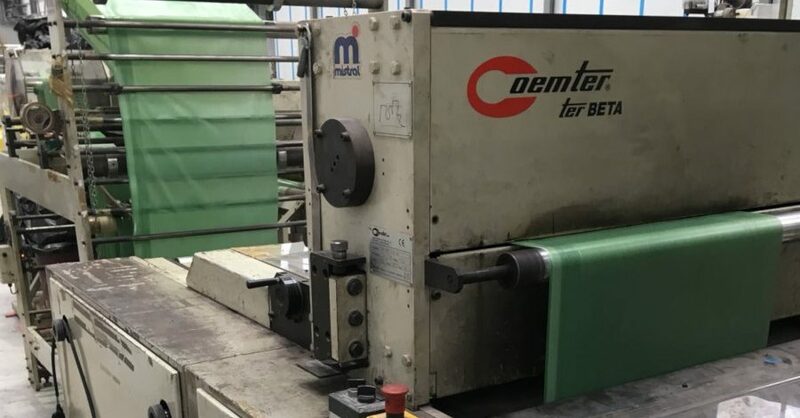 Coemter is a Spanish bag making machine manufacturer that was started in 1967 by Comexi, the flexographic printing press manufacturers. In 1968 they already launched the first multi-purpose bag making machine with clutch and break bag making machine. Today the machines are of course equipped with servo motor and PLC. Later the company developed the Ter Roll application. The company continues to develop numerous technologies that adapts to the request and needs in the market of plastic bags, such as the draw string application in 1992.The focus of the company is to develop reliable equipment that provides its customers increased profitability. The latest developed Ter beta series with new improvements of technology has made an exceptional reference in the market. Developing strong relationships and mutual trust with its customers has also been a priority of the company. Euro Machinery is very familiar with the bag making brand Coemter. We have sold and bought Coemter machines through the years to customers. If you have a Coemter bag making machines for bags on roll for sale please contact us.